Home Apps Free Game App For Windows 8: Bubble Shooter? 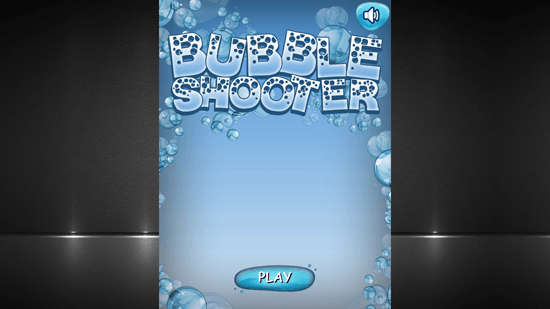 Free Game App For Windows 8: Bubble Shooter? Bubble Shooter? is a free game app for Windows 8 and 8.1 computer that is a casual bubble shooting or bubble popping game that has very simple rules. 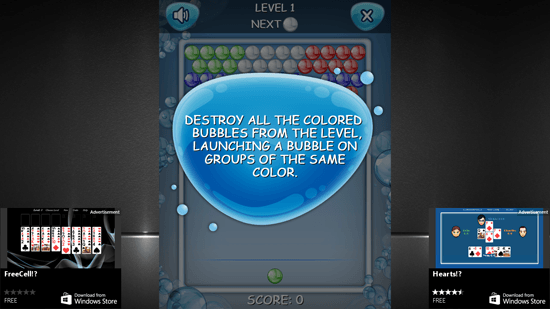 The rules of the game are that you have to pop the same colored bubbles with the bubble that appears on the bottom of the game screen. When you shoot that bubble on the top, if it matches the other bubbles they will pop out and leave empty space. You have to keep matching the bubbles and keep popping them out till all of them are cleared to win the stage and move to the next level. This game app has a vertical layout with black background on both left and right side to make the space of the screen be full. The sound of the game is chosen nicely, you will not be bored of it either. The game has been around since many years. It is based on the classic game that was initially released in 2001 by the same name Bubble Shooter. Bubble Shooter? has the same rules as said above, every classic Bubble Shooter game has same rules. The layout and design do differ from game to game depending on the developer of it. In this app you can mute the audio and sound by clicking on the sound icon on top left of the game screen. You can dismiss any game in between by clicking on the close icon on the top right side of the game. The bubbles start shaking when there are more than required bubbles on the screen and when they have not been popped, it is important to keep popping them out. 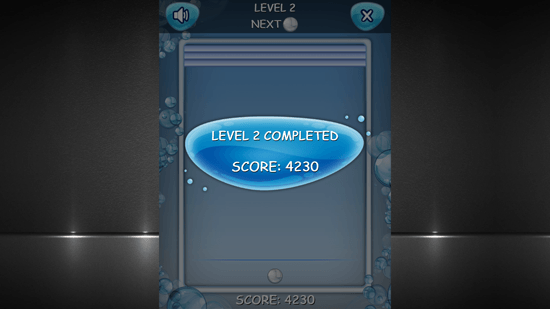 The bubbles also keep coming downwards to the ground level, if they reach the lowest part of the screen the game ends automatically, so you need to hurry in shooting the bubbles. You can also check out Space Shooter and bubble star game apps for Windows 8. The game app is free to be downloaded and played on your Windows 8 and 8.1 computer, it has sponsored advertisements on both the sides of it but they do not bother while you are playing the game and enjoying it.